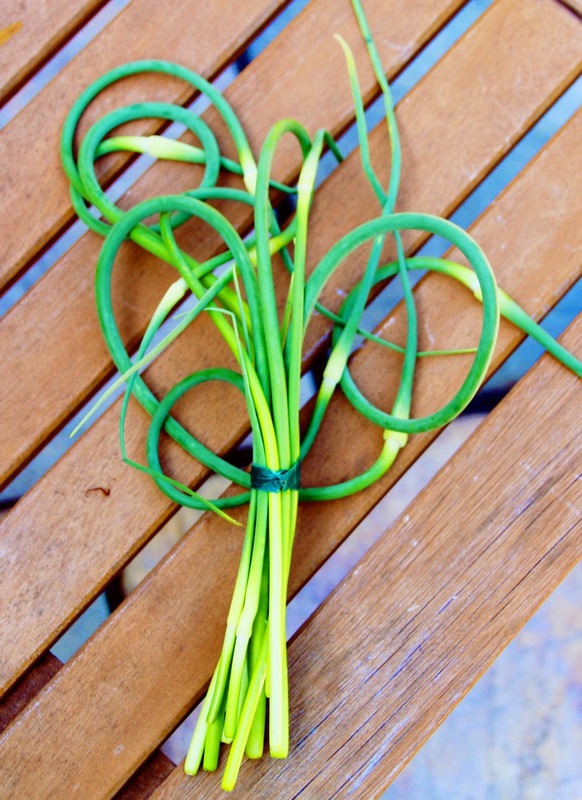 Is there anything better than garlic scapes? Not in my book! They are the highlight of my CSA every year. I absolutely LOVE when we get them. If you don't get a CSA, make sure you hunt them down at your farmer's market. I have yet to ever see them in a grocery store, but maybe because they fly off the shelf so fast! Garlic scapes are the flowering leaves that stem from the garlic plants, however, they don't flower ... they just curl around at the tops. They get removed early in the season so that all the nutrients can be reserved for the growth of the garlic bulb. 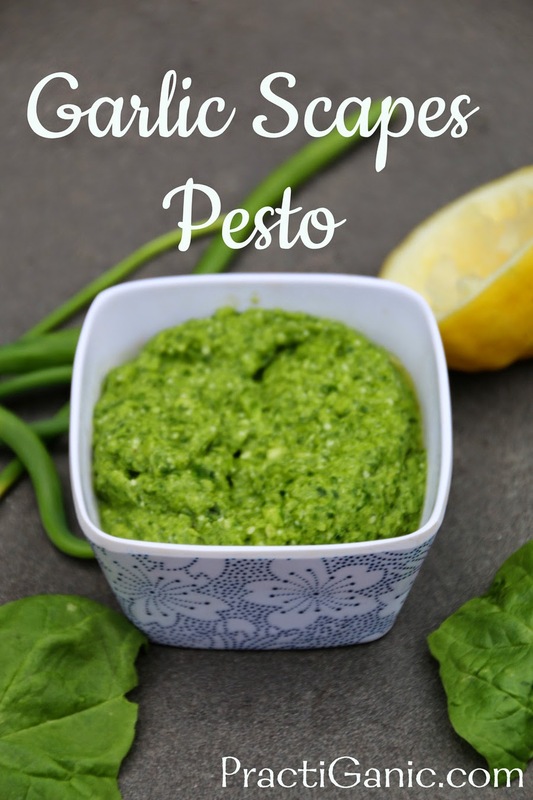 Garlic Scapes Pesto is my absolute favorite way to use them. I don't just replace the basil with scapes though. Adding fresh spinach will mellow the sharpness of the scapes (and makes the pesto go further). Also, by adding lemon you will heighten the flavor of them so it is a perfect balance. It is the perfect appetizer or to serve with your pasta or favorite protein. The options are endless and the deliciousness will make you sign up for your CSA next year! Don't forget to try Garlic Scapes Hummus too! I need to start growing garlic! *to make vegan use 1/4 c roasted cashews in place of parmesan cheese. Mix all ingredients in your food processor and mix until smooth. Add more olive oil to get your desired consistency.